There is growing concerns that the Conservative cuts to highways at Lancashire County Council will affect future long term government funding, due to poor maintenance of the roads. There was cross party support for Lancashire’s “Transport Asset Management Plan” (TAMP), introduced by the previous Labour Administration. This saw the council move from a worst first repair system to interventions that maintained roads predominantly through surface dressing, providing a life extension of 10 – 15 years. The TAMP gained national recognition as well as increased funding from the government. A major survey of all roads across Lancashire identified clear improvements in general road conditions. 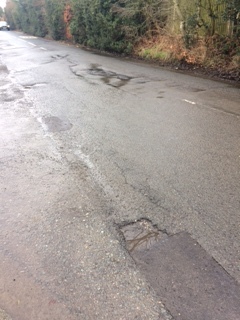 In a report to the Cabinet Meeting on 7th March the Conservative Administration decided to cut Surface dressing and pre-patching from £2 million to £1.2 million a reduction of £800,000 or 40%.